From Messenger to Bots the journey of Facebook marketing has only levelled up. 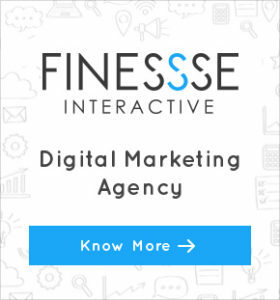 With 2 billion monthly active users, it would not be wrong to say that it is the most eyed platform by companies across the world to reach out to their targeted audience. And, surprisingly with more and more brands leveraging the benefits of chatbox across the globe, it can be a game changer in the social media universe. So, a deep insight in its world will help in understanding how it works and how other brands are benefitting from it. Bots for Messengers are for brands trying to reach people on mobile. In general terms, Bot is used to describe any software that automates a task. 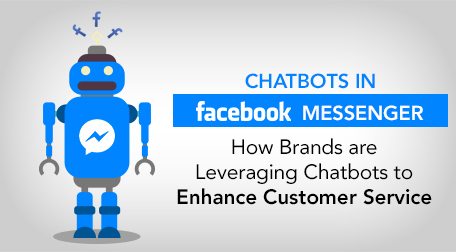 Chatbots, can be built into Facebook Messenger, automate conversation with the user about your service or product. They are created using Facebook’s Wit.ai Bot Engine, which can turn natural language into structured data. Setting up a Bot for your brand is not the only thing you need to do, you also need your users to know about it. But, how do you do that? The users are able to search for companies and bot inside Facebook Messenger by name or by directing to the message through the company page. Now, let’s have a look at how brands are using Facebook Messenger Bots. The renowned name in the world of online flower delivery brands is using bots in a great way and was also mentioned by Mark Zuckerberg as an example in his keynote. You can send flowers from 1-800-Flowers without actually having to call the 1-800 number. The bot takes you through a few floral options and then confirm shipping details. The Wall Street Journal Bot, give users live stock quotes or updates by typing $ followed by the ticker symbol. Moreover, they can also get the top headlines delivered to them inside of Messenger. If you usually find yourself in trouble to know what to read next, then Harper Collins Bot is the best thing ever. You will be asked a few simple questions about your past favourites and genre preferences their powerful Bot can find a book that matches your unique literary tastes. These were some of the examples of how brands have been using Bots. You can get your customers’ order food, schedule flights, and get recommendations for pretty much anything you can think of. Reach out to your customers for a more personal experience with Facebook Messenger Bots.